Use the link to the right to download our 2017 Ofsted Report. 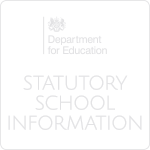 There is also a link to the DfE website. 2017 figure is -0.17 for A Levels and +0.20 for Applied General Qualifications. 2017 grade is C-for A Levels and Dist*- for Applied General Qualifications. Year 7 and Year 8 students are taught a balanced curriculum of English, Mathematics, Science, Computing, Spanish, Music, Physical Education, Performing Arts, Art, Design Technology, Geography, History and PSCHE/RE. Students are placed in sets for English, Maths and Science according to KS2 SATS results and this is reviewed regularly with standard assessments within core departments. In Year 8, more subjects introduce sets based on standard assessments and prior learning from year 7. 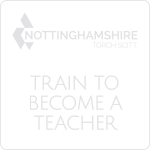 Support for students with learning difficulties and disabilities (LDD) is provided by teaching assistants within mainstream lessons or as a targeted group based in the Student Support Department. 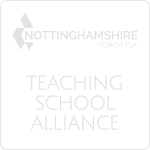 On some occasions, there is also a small amount of short term withdrawal targeted towards those individual students or small groups who most need it, delivered by a teaching assistant based in Student Support. Alongside formal lessons at Garibaldi students are offered a wide range of other opportunities. Alongside having a specific mentor to work with them they also have timetabled independent study sessions alongside timetabled PSCHE sessions to support students through the 16-19 studies. These PSCHE sessions include outside visits from Universities and Apprenticeship providers who work with our students on key skills such as CV writing, UCAS applications and job or apprenticeship applications among other things. We also encourage students to visit as many University providers as possible and support them with applications to attend summer schools. Students are also expected to play a wider role in Garibaldi School and take up a range of opportunities such as leading sporting clubs or working and supporting younger pupils in their studies. It is also expected that all year 12 students will complete a work experience to further support their next steps post school life. Value, Ethos and Vision Statement - click on the link to the right to download the document. The Garibaldi School is committed to providing a fully accessible environment which values and includes all students, staff, parents/carers and visitors regardless of their education, physical, sensory, social, spiritual, emotional and cultural needs. The school is committed to challenging negative attitudes about disability and accessibility and to developing a culture of awareness, tolerance and inclusion.